Give someone special a wild encounter! Simply select the Adventure from the list below and book online now or call our friendly reservations team on +618 9591 1333. Gift vouchers are valid from the date of purchase for 12 months. They can’t be refunded, exchanged for cash or used in conjunction with any special promotions. You can choose to email the gift voucher direct to the recipient or email it to yourself if you wish to print it out and present it personally. Open daily 8am to 4.30pm for great coffee & cakes, gourmet burgers, awesome fish & chips & fresh salads. 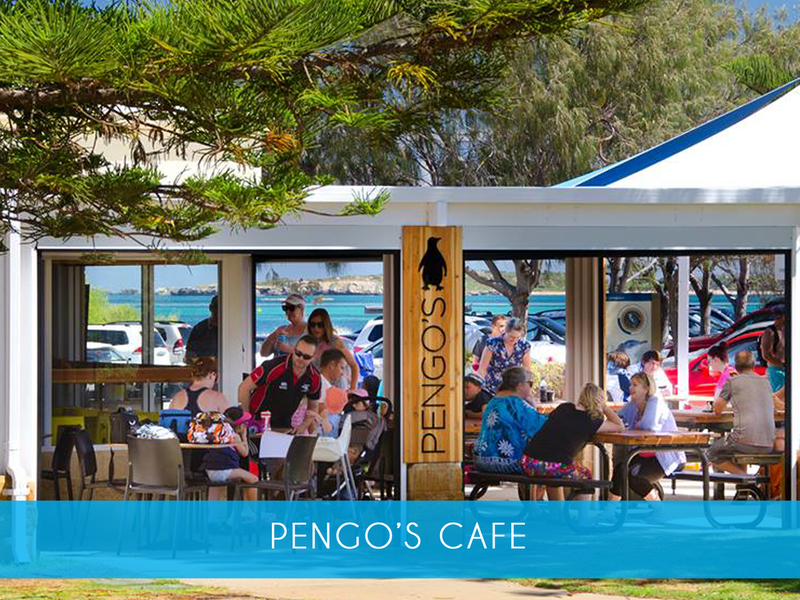 Located right next door to Rockingham Wild Encounters, Pengos is the ideal place for a quick bite to eat for breakfast or lunch, before or after your visit to Penguin Island.